An experienced professional can bring a NEW EDGE and a CRITICAL FLOW to any important panel, one-on-one discussion, or debate, either before a live audience or on-line. Give Gene Randall a topic and he takes it from there. 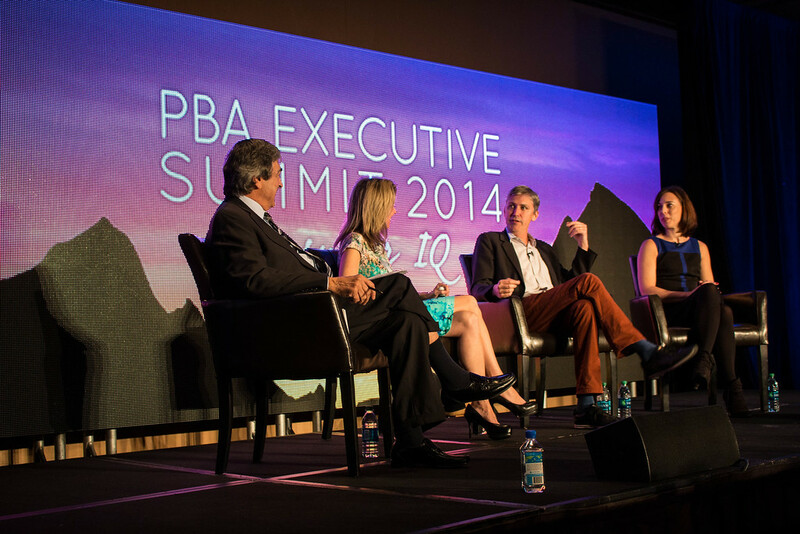 In Scottsdale, Arizona, Gene emceed and moderated a panel for the first Professional Beauty Association Leadership Summit. At the U.S. Chamber of Commerce in Washington, Randall moderated a discussion of the “BP Oil Spill and Beyond”, with former Republican Senate Majority Leader Trent Lott, former Senator John Breaux (D., Louisiana), John Hofmeister, author of “Why We Hate the Oil Companies” and Jeremy Rifkin, best-selling author and President of the Foundation on Economic Trends. Two consecutive District Export Council national meetings, Palm Springs and Tampa: Randall moderated panels on the importance of U.S foreign trade with an emphasis on Free Trade Agreements. Gene was also Master of Ceremonies. Two consecutive Industry Data Exchange Association annual meetings: Gene Randall guided panels on electrical industry efforts to broaden the use of data synchronization and IDEA’s role in explaining the benefits of E-commerce. 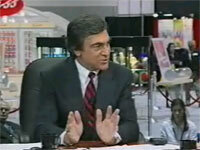 For the National Co-operative Bank (NCB), he led a panel on the effect of Big Box stores on America’s retail economy. Before the National Association of Electrical Manufacturers, Gene moderated a panel of CEOs from Underwriters Laboratories, CSA and Intertek on electrical testing standards. At a National Autobody Congress and Exposition Randall moderated a six person panel on “The Total Loss Dilemma”. At four consecutive “Big Builder” conferences, Randall emceed and engaged panels of major home building CEOs on the state of the industry. 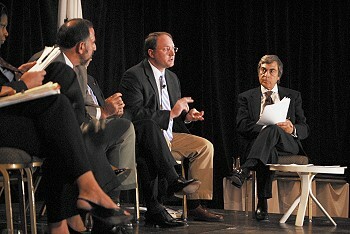 For the Co-operative Development Foundation: three panel discussions on how Co-ops could help meet the growing needs of seniors; in addition Randall wrote, produced and narrated a 12 minute video based on the event and sent to the White House. The Engelhard Corporation (Now part of BASF): Gene appeared at two Annual Leadership Conferences to lead a series of panel discussions and conduct a CEO live audience interview on company growth strategy. 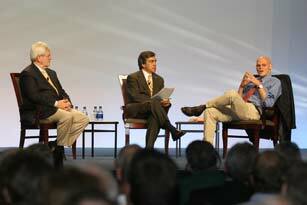 For the National Association of Convenience Stores Annual Meeting, moderated a James Carville-Newt Gingrich debate. The Pharmaceutical Care Management Association had Gene Randall at two consecutive annual meetings to emcee and moderate panels on P-B-M industry issues. Two annual American Association of Health Plans/Health Insurance Association of America Conventions, emceeing and panel moderating. For the Pharmaceutical Research and Manufacturers Association (PhRMA), two consecutive annual meetings had Gene at the head of panels dealing with an industry at the crossroads. Two consecutive National Association of Chain Drug Stores Annual Marketplace Exhibitions, moderated 19 half hour webcasts with industry experts and opinion makers. E mail or call for rates. See the contact page.